You'll be reaching for it time after time because there just isn't a thing on your calendar that you can't wear it to! A flowing shift fit insures a no-fuss fit that never clings or hugs! Dress it up with glam jewelry or dress it down with a flowing kimono and sandals! 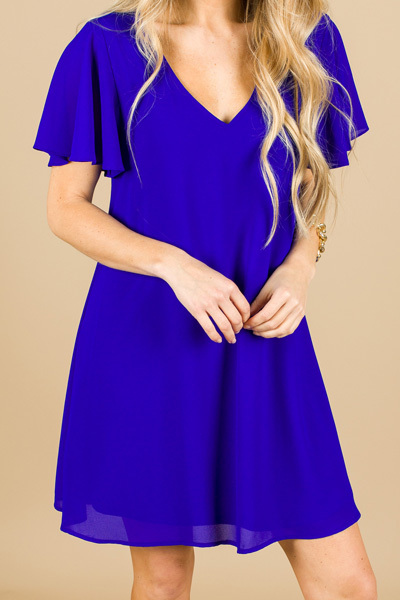 This dress offers endless options! Dress is fully lined. Fits true to size. Model is wearing a small. Length measures approximately: S=33" M=33.5" L=34"